French Label, House of 7 Producers : • B.K Mik • Chinau • Knuckle G • Le Hutin • Vanderkraft • Thirsty Guys Artist also featured on the Label : • Bellaire • Black Loops • Cody Currie • COEO • Das Carma • Demuir • Hotmood • Jeff Tuts • M.ono • Sebb Junior • Sune • Too Many Cars • Booking : delagroove.booking@gmail.com Demoes : delagroove.demo@gmail.com Upcoming Gigs : | 11 Jan. Djoon - w/ Grant Nelson | 16 Fev. Djoon - w/ Scott Diaz | 22 Mar. Djoon - w/ Crackazat | 05 Apr. ??? - Surprise | 19 Apr. Sacré - TBA | 04 May. ??? - Surprise Bis | 25 May. Bellevilloise - TBA Passed Gigs : 2018 | 09 Fev. Djoon - Black Loops & Pierre Morritz | 01 Mars. Communion - Knuckle G Release Party | 31 Mar. Djoon - Sebb Junior | 18 Avr. Communion - De La Groove Release Party | 16 May. 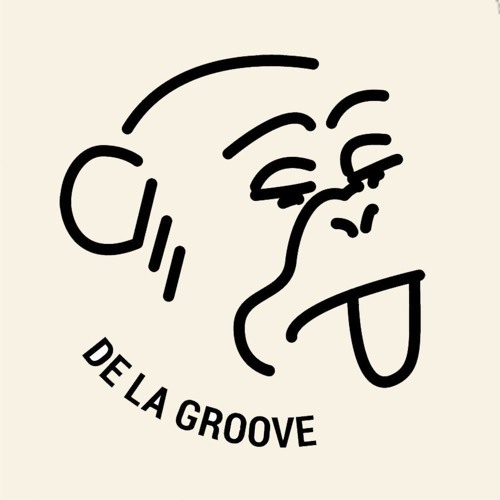 Garage - De La Groove 1yo Anniversary | 19-20 May. - Imaginarium Festival | 02 Jun. Debonair | 23 Jun. Djoon - w/ Cody Currie | 29 Jun. Debonair - Ondes Solaires | 12 Jul. Garage - w/ Black Loops, Demuir & Sebb Junior | 25 Aou. Soukmachines - Parc de Bobigny| 05 Oct. Java - Itinéraires Bis w/ De La Groove | 20 Oct. Djoon - Release Party | 17 Nov. Djoon - w/ Art Of Tones 2017 | 4 Fev. B75 - DLG Features Armless Kid | 14 Mar. Café de la Presse - EP Release Party | 21 Avr. B75 - DLG Features | 11 Avr. Le Mellotron | 21 Avr. B75 - DLG Features #2 Tour Maubourg | 25 Mai Batofar - DLG Town #3 | 04 Jun. - Flore Boyard by Bunch | 17 Jun. Kabukîcho - Groove Upon | 06 Jui. Cafe de la Presse - Release Party / Le Hutin | 13 Jui. Brasserie Barbes - Groove Upon | 21 Jui. Batofar - DLG Town #4 | 28 Jui. International - DLG Features #3 | 02 Aou. Concorde Atlantique - Groove Upon | 09 Aou. À la Folie - Groove Upon | 23 Aou. Garage - DLG Features #4 | 01 Sep. Les Grands Voisins - Groove Upon | 29 Sep. Batofar - DLG Town #5 | 06 Oct. Generator Hotel - DLG Town #5 | 21 Oct. International - De La Groove x Vitess (live) | 01 Dec. Djoon - COEO | 21 Dec. New Morning - Release Party Late Psalms Vol 1 De La Groove is a modern youngsters' French label.